Welcome to our QuickBooks video training library! To learn more a specific product, just click on the product below and it will open to display the videos related to that product or category. If you have any additional questions or need more help, just call us at 866-949-7267 and we are more than happy to help get you any resources that you need! QuickBooks Apps expand the capabilities of QuickBooks Online, each working together to improve your business. Reconciling your accounts in QuickBooks Online can be intimidating and confusing. This video will help explain how to do it. Learn how to add additional people in your company and give them specific access. So you’re ready to switch from your old QuickBooks to QuickBooks online. Great! This will show you how to convert your file to Online. Learn how to use the mobile version of QuickBooks Online. Learn how to connect your bank accounts to QuickBooks so it can download your transactions. In this video you will learn where to find everything you need to use QuickBooks with confidence. In this video you will learn where to find everything you need to create and use invoices in QuickBooks Online. Learn how to set up and use QuickBooks Payments so that you can accept credit cards and electronic checks from customers. Learn how to create your estimates in QuickBooks, email them to customers, and then convert them into invoices after you complete the work. Do you sell items or services to customers and get paid on the spot? This will teach you how to create sales receipts in QuickBooks Online. You got paid! Great—now you need to record the payment in QuickBooks. That’s called receiving a payment. Watch this video to learn how. It’s no fun, but some day you might have to give a customer a refund. Here’s how. A great way to start working in QuickBooks is to add your customers’ contact info. Learn how to do that here. Need to enter information about your products into QuickBooks? Here’s how to add it, or import it from an Excel spreadsheet. Learn how to create and send your first invoice in QuickBooks Online. Looking to pay your employees with QuickBooks Online. Here’s how it works! Here’s how you generate reports that show you where your business’s money is going. Now that you’ve created a bunch of checks in QuickBooks. Here’s how you print them out. This video section will teach you how to perform the key functions in QuickBooks Online for Accountants. This video set is focused towards tips and tricks for Accountants working with their clients in QuickBooks Online And QuickBooks Self Employed. Learn how self-employment is changing the face of work in America and what that means for your accounting practice. In QuickBooks Online Accountant, we’ve put your most essential tools, the ones you use every day to support your clients, in one consistent place, no matter whose books you’re working on. 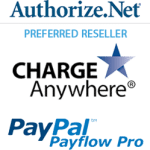 QuickBooks Online Accountant is built to help you serve your QuickBooks Online clients more efficiently, with time-saving tools and online access to your clients’ books. The client dashboard shows you what needs your attention with alerts, to-dos and recent activities for each client along with one-click access to their books and payroll. The Accountant Reports tab has reports that only you as the accountant user can see. The list includes Adjusted Trial Balance, Adjusting Journal Entries, Profit and Loss Comparison, and Balance Sheet Comparison. Management Reports are available to both you and your clients, but you will see a slightly different list of Management Reports than your client will. Reclassify Transactions is used to move transactions in batch from one account or class to another. If you have changed your chart of accounts and set up sub-accounts to streamline your reporting, you can use this tool to reclassify the transactions into the correct sub account. QuickBooks Online Accountant works easily with QuickBooks Self-Employed. In the client list from QBOA, simply click on your self-employed client to launch QBSE and view all of their important information in one place. The QuickBooks Online Accountant-Slack integration helps your firm ensure nothing falls through the cracks while enabling you to spend less time in your email inbox. Here we demo how to connect Slack to QuickBooks Online Accountant and the notifications, updates, and reminders functionality. This video section will teach you how to perform the key functions in QuickBooks Enterprise as well as a detailed overview of features found in modules such as Advanced Inventory and Advanced Reporting. This video will give you a quick overview on how to use the Advanced Reporting feature in QuickBooks Enterprise. A year over year comparison report is a great way to evaluate your business over time. You can create this Report using Advanced Reporting in QuickBooks Enterprise. This video will help you understand the dimensions and expressions controls in Advanced Reporting. This video will give you a quick overview on how to edit an object in QuickBooks Enterprise Advanced Reporting. This video will give you a quick overview on how to delete and object from your report in Advanced Reporting. This video will help you understand filtering and list boxes in Enterprise Advanced Reporting. This video will give you a quick overview on how to use list boxes to build reports QuickBooks Enterprise Advanced Reporting. This video will teach you how to work with columns and rows in QuickBooks Enterprise Advanced Reporting. An Expression uses a structure (syntax) that lets your data show in your reports. We’ll walk through an example report so you can see how to build the syntax and apply it to your own report. Need Help Getting Started With Advanced Reporting? If you’re new to Advanced Reporting, check out our User Guide to learn the basics. If you’re already familiar with Advanced Reporting, you can use the Data Dictionary to see the tables we’ve pulled from QuickBooks. If you need additional help or would like to have custom reports created for you, we can help. Just call us at 866-949-7267 and our Advanced Reporting group can help! Select the orders you want to fulfill on the Sales Order Fulfillment worksheet. Review the opened sales orders for their status, and then create picklists by assigning it to a picker at the site. The picker receives the picklist on the mobile inventory scanner or Android device to start the picking process. You can keep track with real-time status messages in QuickBooks indicating picked, pick in progress and partially picked. Once the picking is complete, you can update your sales order to reflect its exact status. Add pickers in the vendor list. Picker’s names will only show up in the device once a picklist has been assigned to them. 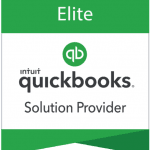 Advanced Pricing, included free in QuickBooks Enterprise Platinum Edition, lets you control, customize, and automate your pricing, right within QuickBooks with no more manual updates. 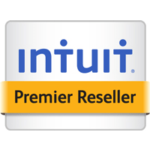 See QuickBooks Advanced Pricing in action in a 9 minute demonstration put on by TC Younger, Senior Sales Engineer at Intuit. See how Point of Sale Payments works to make accepting payments easier when you’re using QuickBooks Desktop Point of Sale. Find out how QuickBooks Desktop Point of Sale makes it easier to ring up a sale for both you and your customers. See how QuickBooks Desktop Point of Sale makes it even easier to manage and keep track of your inventory. This 27-minute in-depth video covers how your Service team uses the scheduling, dispatching, service history seen in the office, then shows the mobile App used by the field tech to capture work order notes, create invoices, capture signature, and get paid. Lastly, it shows how the invoices and payments sync into QuickBooks for your Accounting team. This demo highlights Field Service Management and how it integrates with QuickBooks Online. Intuit Field Service Management seamlessly integrates with the Advanced Inventory module for QuickBooks Enterprise Edition so you can track inventory usage by your field technicians. See it in action here! This video shows you how to calculate on-time performance of your service technicians. This video shows how your field service technician can create a new customer in the field via the Intuit Field Service Management mobile app. When you dispatch a work order with Intuit Field Service Management, your field technicians access the work order out in the field via either our app on their mobile smart devices (Apple or Android) or on a laptop via browser. While at the customer location your techs can create invoices, capture signatures, and take payment via our app running on the mobile device. This video shows you how. Learn about the different types of custom fields inside Intuit Field Service Management and where they show up for office users and field techs. You will also learn how to backdate work orders as well. Learn about the four views on your Dispatch Board inside Intuit Field Service Management. This video introduces first-time configuration and settings for Intuit Field Service Management. We recommend that you take these steps before integrating your Intuit Field Service Management with your QuickBooks file. This short tutorial on the reports within Intuit Field Service Management covers standard reports, creating both List-style and Matrix-style reports and including custom fields in your reports. This video will teach you more about managing Preventive Maintenance and Service Agreements with the Service Agreement add on module. For your service & installation technicians: this video shows how to use the Intuit Field Service Management mobile app on your Apple iPhone/iPad or Android phone/tablets. Never wait for time cards to come in again, because they’re already in your system. Field Service Management creates GPS-stamped “when” and “where” for each time card, so you spend less time reviewing and approving them. This will teach you how to use your reports in Field Service Management as a search tool. This video will show you how to access appointments, update work order status and access service history of a customer, location, or specific piece of equipment you’ve tracked in the system. It will also go over things like how to capture photos, customer signatures, create invoices, and take payments in the field that integrate with QuickBooks back in your office. The Motorola CS3000 Series is a mobile barcode scanner that provides real-time capture and transmission via a wireless Bluetooth connection. The CS3000 features a 24-hour batch/12-hour Bluetooth mode battery life. Honeywell’s Voyager 1400G is the ultimate 2D barcode scanner. This linear imager is capable of reading even poor quality and mobile 2D barcodes. 2D barcode scanners are becoming increasingly popular across a wide range of industries. Quickly create multiple product sizes, colors or other variations by importing variants into Vend using a CSV file. The cash drawer connects to your receipt printer, and is triggered to open when you finish a sale and the receipt is printed by the printer. With your RJ12 cash drawer paired to your PC and Epson TM-T88V receipt printer, you’re ready to print sales receipts in Vend. The cash drawer connects to your receipt printer, and is triggered to open when you finish a sale and the receipt is printed by the printer. With your RJ12 cash drawer paired to your iPad and receipt printer, you’re ready to print sales receipts in Vend. The cash drawer connects to your receipt printer, and is triggered to open when you finish a sale and the receipt is printed by the printer. With your RJ12 cash drawer paired to your Mac and receipt printer, you’re ready to print sales receipts in Vend. Vend with Shopify is the ideal omnichannel solution for advanced and multi-store retailers, with inventory, customers and orders all managed from one system. The cash drawer connects to your receipt printer, and is triggered to open when you finish a sale and the receipt is printed by the printer. With your RJ12 cash drawer paired to your PC and Star TSP100 LAN receipt printer, you’re ready to print sales receipts in Vend. A tax-exclusive retailer is a retailer who displays prices for products without their tax component. Canada and U.S.A. are tax exclusive regions. Receipts can be customized to your store’s and customers needs, and can be associated with different Outlets and Registers. Promotions in Vend lets you quickly and easily set up targeted promotions or store-wide discounts to reward customers, enhance loyalty, and boost revenue in-store. When setting up your taxes for the first time in Vend, ensure you are choosing the right tax and type for your outlets and products. Vend Register app on iPad can be set up by Administrators or Managers. You must have a Vend account that is activated or still in the trial period to use the app. When setting up a new store in Vend, you can can easily import your existing customer data by using a CSV file. Once enabled, gift cards will automatically appear as a product in your store. Load it with any amount by using a barcode scanner or typing in the code with Vend’s Sell screen. Training mode allows you to try out Vend without affecting any of your store data. This is a useful for training new staff, or trying out new features. All sales processed in Training Mode will not be recorded or synced to Vend. By adding customers to your store in Vend, you will better capture their purchase history, loyalty amounts earned, and balances on their account. It is easy to add customers to your store’s database and their contact information. This will allow you to add them to your loyalty program, and track their purchases, returns, exchanges, and purchase preferences and habits. To make a product available for customers shopping on your Vend Ecommerce store, it will need to be added to a Collection. A Collection is a group of products that you’d like to appear together on your online store. Open a new store or warehouse in minutes, set up a new register, and easily add extra registers whenever you need them with Vend. The Vend Display app is the perfect companion for the Vend Register app. It’s a customer facing display using a secondary iPad that allows your customers to view their purchases at the time of sale. Quickly add a new single product to Vend using a CSV. A single product, also known as a standard product, has no different types or versions. To import a product with different types or versions, import a product with variants. Create a page on your Ecommerce store to provide information to customers about anything other than your products; such as About Us, Return Policy, Shipping Information, or Size Guide. To include a Contact Us form, simply use the page created by Vend. Vend supports a wide variety of payment options, including contactless and NFC options, such as Visa, Mastercard, Debit/Interac, Square and Apple Pay. Gift cards are always popular and great for your bottom line. 65% of shoppers spend almost 40% above the value of their card, and 20% of gift cards are never redeemed. If your store already uses gift cards, the existing balances can be imported into Vend using a CSV. With gift cards enabled, customers have even more ways to pay. Vend gift cards can be used to make a partial payment, or pay for the entire sale. Grow repeat business with Vend Loyalty. Once enabled, choose how much a customer needs to spend to earn loyalty dollars, or choose to offer bonus loyalty to encourage customers to join your program. Move stock faster by offering customers a discount with the more items they buy. Set up a Buy and Save promotion in Vend to offer customers savings off their entire sale when they buy a set number of items. Reduce counting errors, theft, and discrepancies by tracking movements with Cash Management in Vend. Before getting started, you may need to enable Cash Management by editing your Register. It is essential to close your store’s register on a set schedule, as this ensures an accurate till count compared to the sales and payments processed and shown in Vend. Vend store credit is added to the customer’s account and encourages repeat business as they’ll want to spend their credit in your store. There are multiple ways to add a product to your sale, and make a variety of adjustments. These include adding sale and product level notes and discounts, and adjusting the quantity of products sold. Vend’s Inventory reports help you manage and plan your inventory across all of your outlets, ensuring you always have enough of your most popular products. Before you get your first order, shipping methods will need to be set up on Vend Ecommerce.